Mixing together video games and collectible toys, Activision? How very Captain Power of you. As many will no doubt remember, the good captain and his soldiers of the future wound up defending clearance aisles from evil until fading into obscurity. 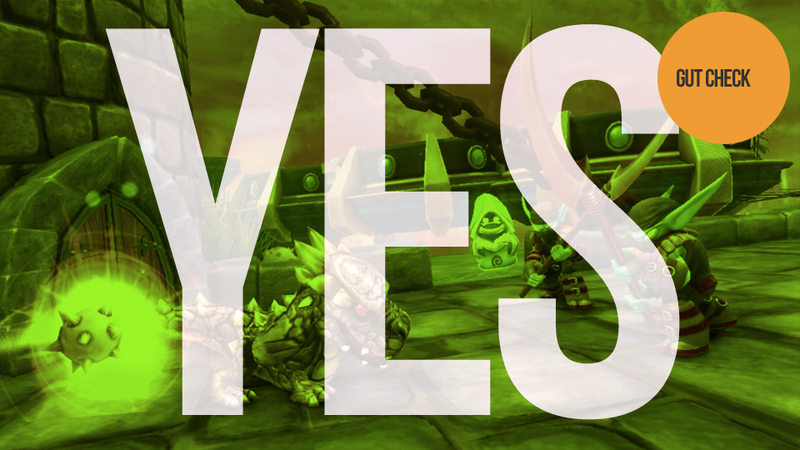 Should a simillar fate befall Skylanders: Spyro's Adventure? It's time for a Gut Check. Evan Narcisse, relatively new father: Skylanders smacks too much of an attempt to grab cash from two markets at once. The cross-platform portable save technology might be great, and the game may even be fun but I feel like this is one instance where voting with your wallet is super-important. The calculus behind this mash-up of collectible toys and video games just seems to be nakedly concerned with setting up another franchise, one that will engender a COD-style, rabidly loyal audience in young kids. The tech's the main story here and you can get the kind of gaming experience offered in Skylanders from other games that don't ask you to buy a bunch of plastic. No. Michael Fahey, even newer father twice over: I was right there with Evan as I begun playing Skylanders this weekend, smirking at the obvious attempt to transform one revenue stream into two. As I played the game I discovered doors that couldn't be opened without a certain type of Skylander. There were special collectible powers for characters I did not own, complete with a dynamic video commercial aimed at showing kids how amazing this figure they did not own was. These are moments manufactured specifically to get children to beg their parents for more toys. How diabolically evil. Well it won't work on me, Activision. Yesterday I went to Toys"R"Us and purchased $40 worth of additional Skylanders stuff. Damn it. Yes. Tristan, 10-year-old gamer, fan of Age of Empires Online (which he can play) and Call of Duty (which he can't): It's a fun game. I like that you get to run around with characters that are also toys. I also liked that there were a lot of guys to choose from. I like how when they go up in levels they get new sorts of attacks. Yes. Brian, father of Tristan: I sort of didn't like the game initially because it felt a bit light, a bit repetitive and had unimpressive graphics, but those physical representations of your characters sure do make a difference. After playing the game for several hours with my son, I was enjoying the expanding gameplay and abilities. Later he walked the rest of the family through one of our adventures using one of the toys, a dinner plate, napkin, fork and salt shaker. This is a video game that can ignite your child's imagination. Yes. I was almost positive this Gut Check would have ended up a no before I started gathering opinions, but I underestimated the power of fatherhood and (in my case) rabid toy collector mentality. I am a weak man. Skylanders: Spyro's Adventure game bundles and toys are available now for the Xbox 360, PlayStation 3, Wii, PC, and 3DS.